There were lots of delicious looking foods to pick from for Cyprus but I couldn't resist this meatball soup dish. It's perfect for the horrible cold weather we've been having lately. Put the meat (I chose lamb), 1 egg, rice, chopped onion, parsley, salt, pepper and mint in a bowl. You can arrange it beautifully like me or just throw it in there. 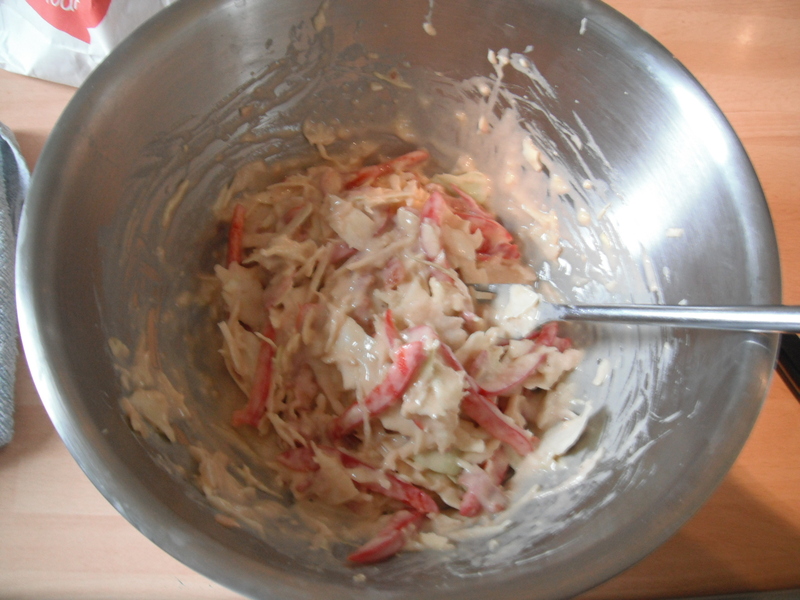 Mix everything together with your hands until it's all really well blended. That's what I did then had to quickly wash my hands to take this next picture. 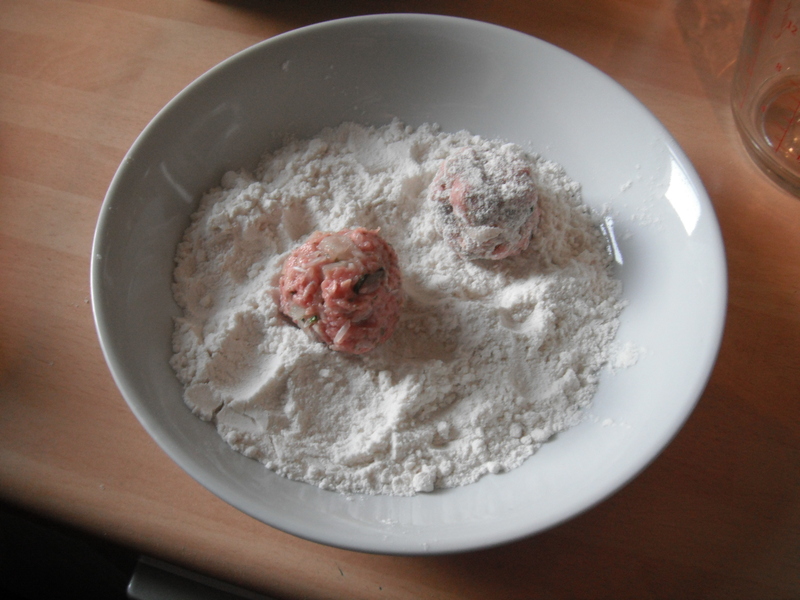 Now it's time to make some meatballs so get your hands back in the bowl. Take a small amount of the mixture and form it into a ball. Then dust it in the rice flour (which you've already placed in a bowl for such an occasion. You're smart like that.) and set it aside. Repeat until you've used up all the mixture. 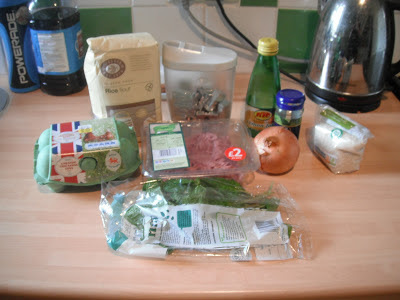 Make up the stock in a large pan and add the meatballs to it. 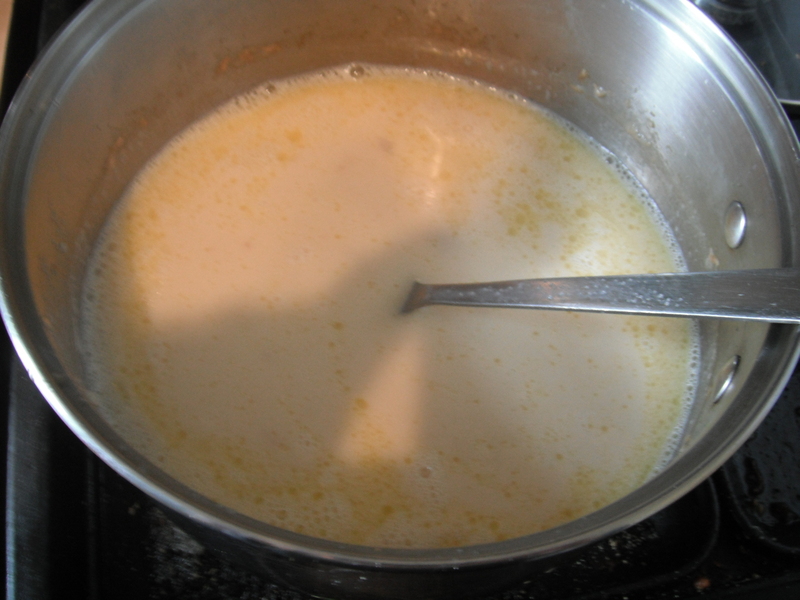 Add the butter and then simmer for 1 hour. 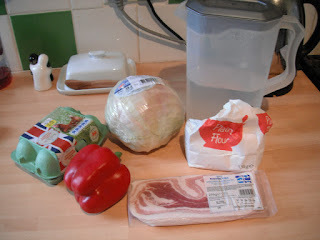 Ten minutes or so before the hour is up start on making the broth. Beat the two remaining eggs until they're light and frothy. Now add the lemon juice and about a cup of the stock from the pan to the eggs a bit at a time so they don't curdle. Beat after adding each bit until you have a light broth consistency. Remove the meatballs from the pan and place in a bowl. 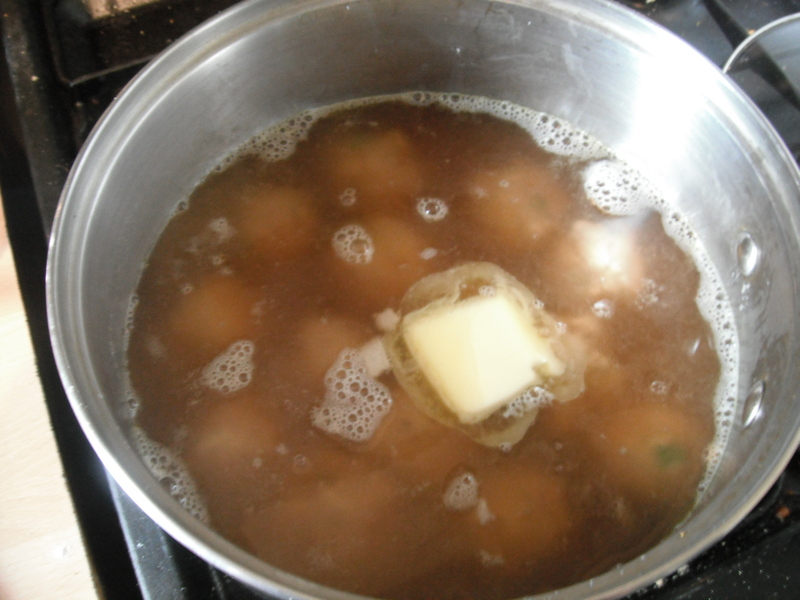 Now add the egg broth to the pan and simmer for two minutes to cook the eggs. Stir constantly. 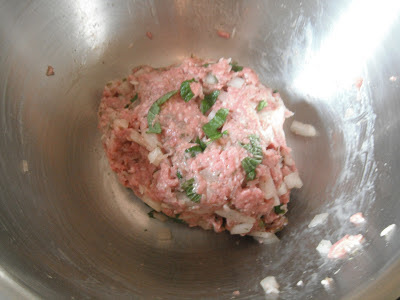 Spoon the broth over the meatballs and garnish with some more chopped parsley. Ta-da, it's done! 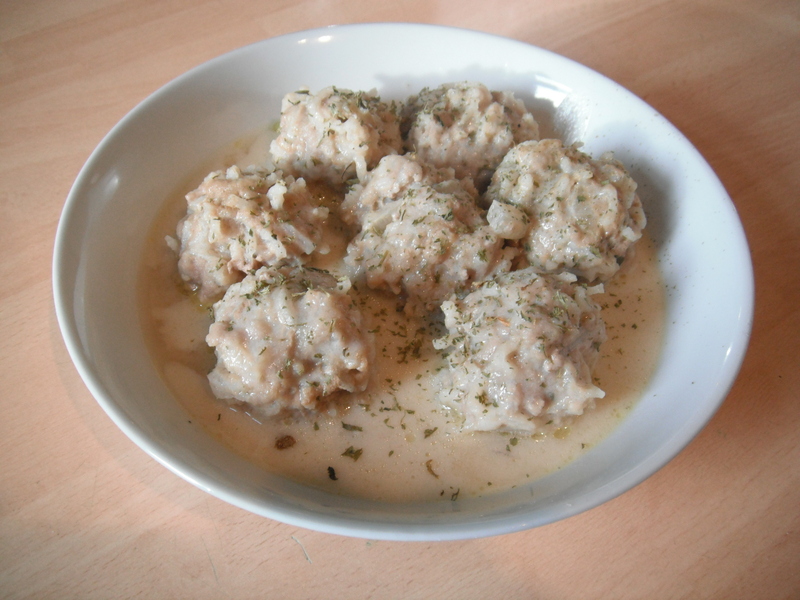 Easily the best thing about this dish was the smell in the kitchen while the meatballs were simmering. I couldn't wait to try them. The taste was great too. The broth was really light and flavourful which went really well with the meatballs making them moist and soft. 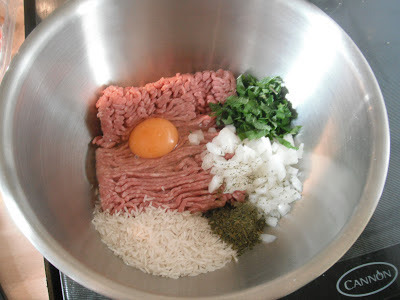 I was wary of adding raw rice to the meatball mix but after simmering the rice was cooked perfectly and was a nice addition that stopped the meatballs being too heavy. 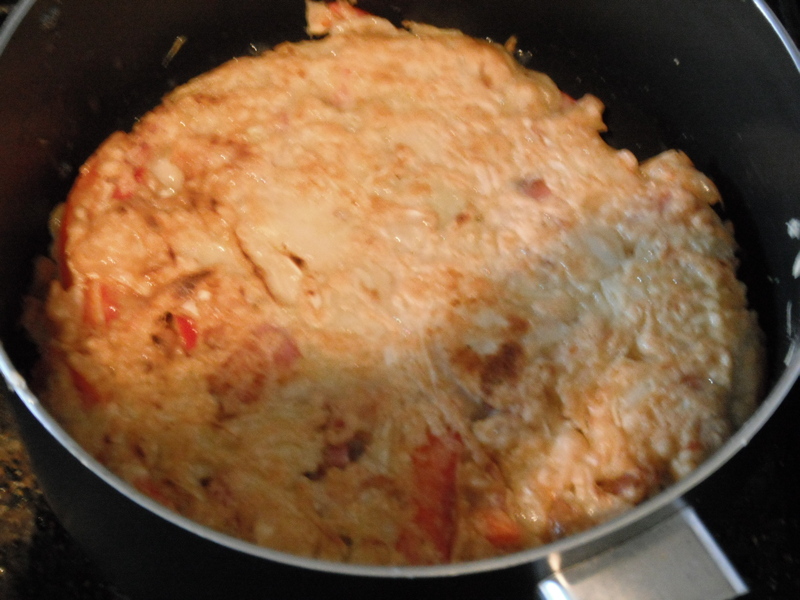 It's a lovely warming winter dish. 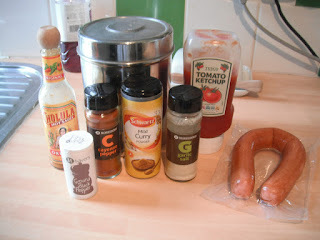 I enjoyed last week's Currywurst so much I've decided to stick with the street food theme this week. 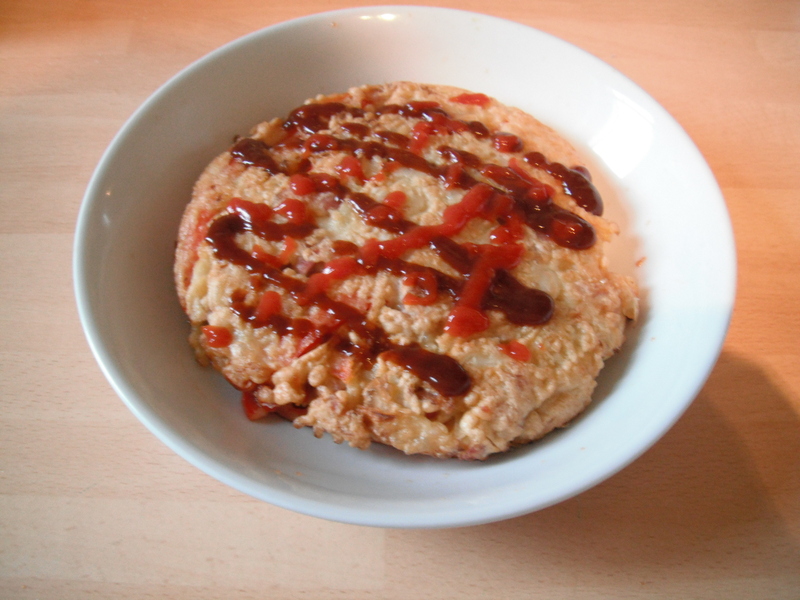 This time it's Japan's turn so I'm making Okonomiyaki which is a kind of pancake. 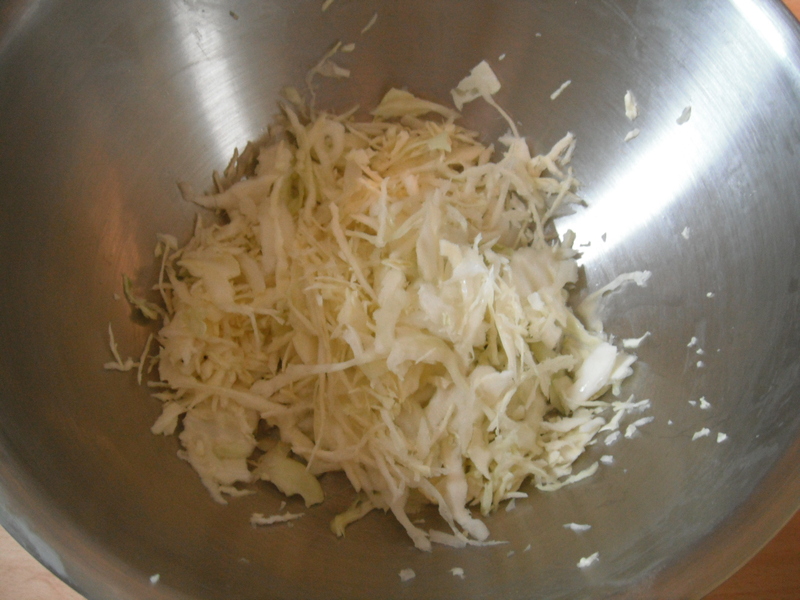 Traditionally it's shredded cabbage held together with a batter but the Japanese use many different vegetables and meats along with the cabbage. The name translates as 'grilled as you like it' which fits its versatile nature! I got into the spirit of it by using what I had in my fridge (which turned out to be not as much as I hoped, not even an onion). Shred the cabbage into fairly small, thin pieces. 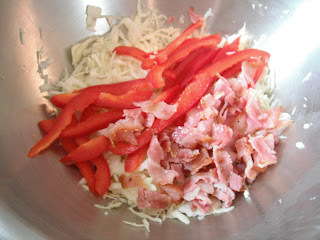 The recipe I used suggested using a mandolin but I had to make do ravaging it with my cheese grater. I grilled the bacon and then chopped it up. It was lucky to escape two slices of buttered bread. Mmm bacon! 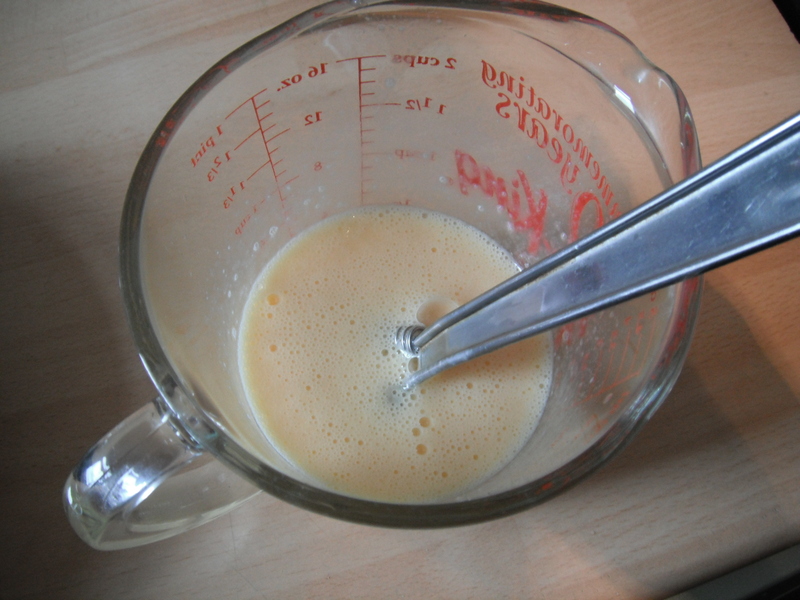 Next, I mixed together the eggs, flour, water and salt until smooth. Well, moderately smooth, I used a too small bowl which made it awkward. I could've switched it to a bigger bowl but I hate extra washing up. 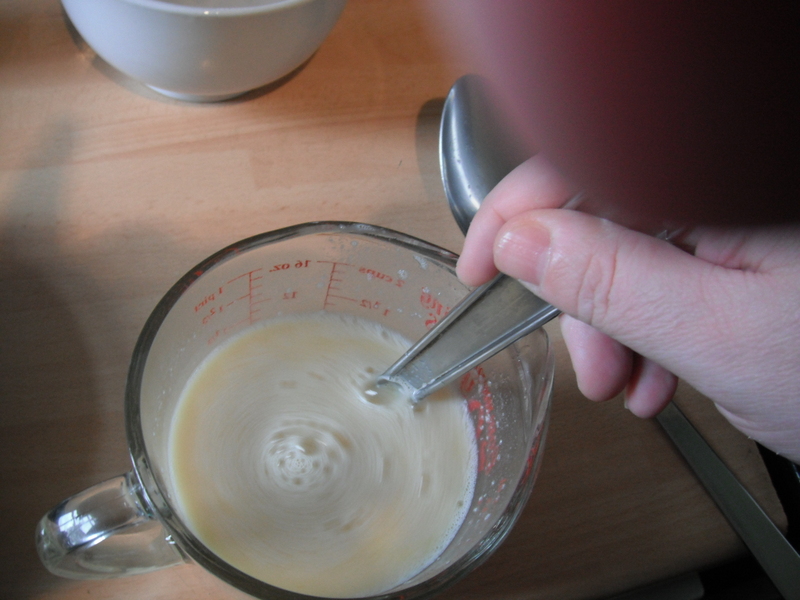 Here I am adding the batter to the bowl. Pretty nice action shot, eh? 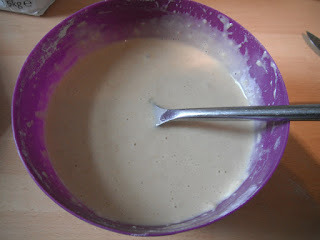 Mix it up until all the components are well covered in the batter. See picture below for perfect example of this. Hurrah, success! 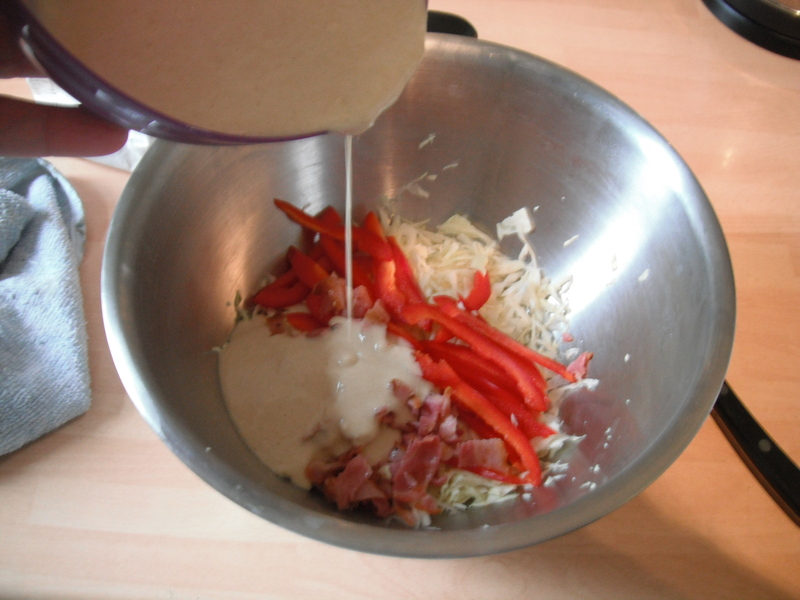 Not burnt at all ^_^ Flip onto a plate and garnish with sauces of your choosing. 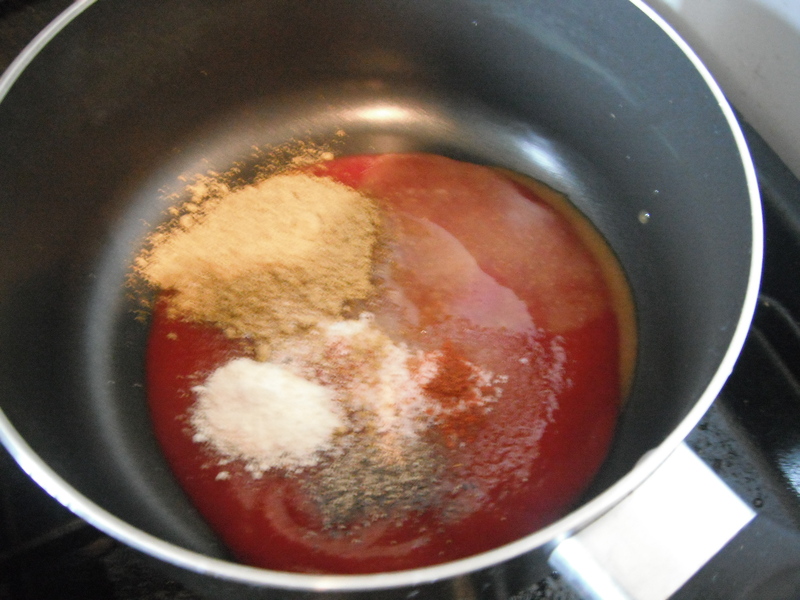 I chose tomato ketchup and barbecue sauce. Starting back gently with a simple recipe from Germany mainly because I'm all excited because we're having a weekend in Munich in march, hurrah again! Currywurst is pretty popular over there if Wikipedia is correct. 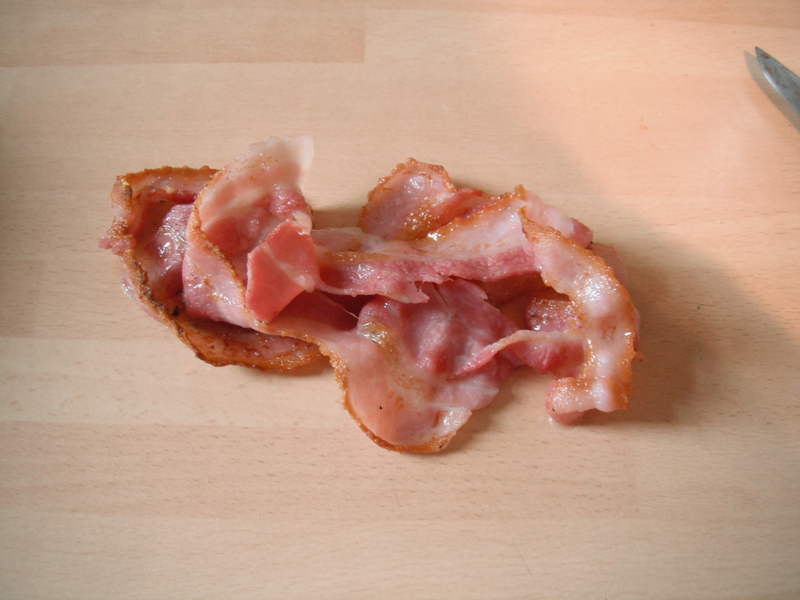 With German people scoffing 800 million portions of it a year.That's quite a lot, nein? Slice the sausage into 1/2 to 3/4 inch pieces and fry in some oil until browned nicely. Put all the sauce ingredients in a small pan and combine well while heating gently. 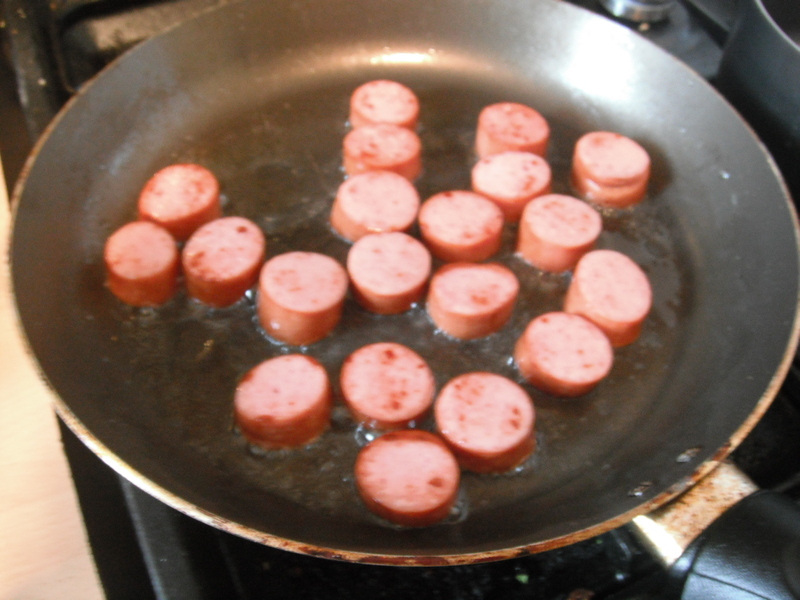 Put the sausage in a dish (the Germans use paper dishes) and cover with the sauce. Sprinkling more curry powder on top to garnish if you're feeling fancy. I served mine with a bread roll but mostly it's eaten with fries. It was surprisingly delicious! 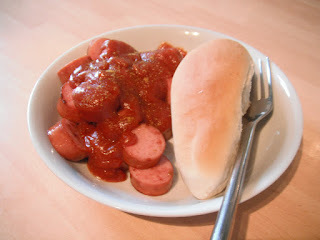 The tomato curry sauce was really tasty especially with the fried sausage which was always going to be great. I love foods that are quick to whip up for a lunch with a difference. I'm really looking forward to trying some authentic Currywurst in March. Thanks for reading, Auf Wiedersehen!